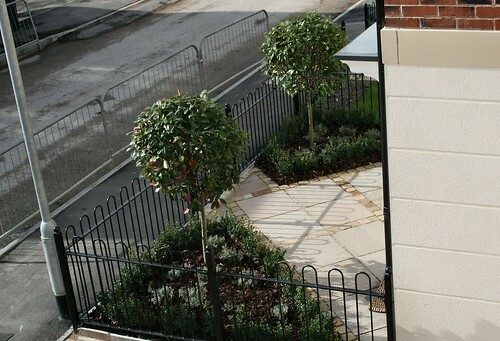 This new build Georgian townhouse had a tiny front garden and odd shaped back garden. 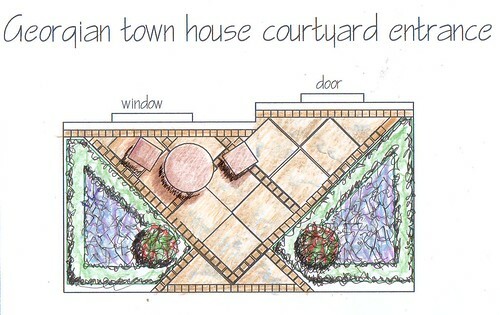 The design of the courtyard perfectly compliments the front evoking true Georgian formality. 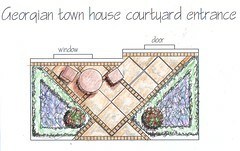 The back is planned for easy maintenance and to disguise the odd shape. 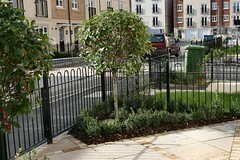 Architectural planting gives a jungly feel. 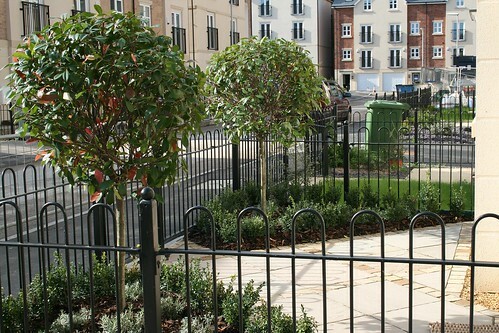 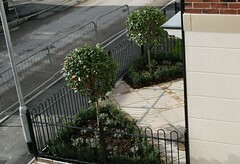 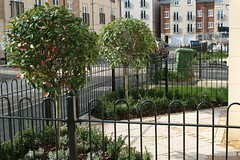 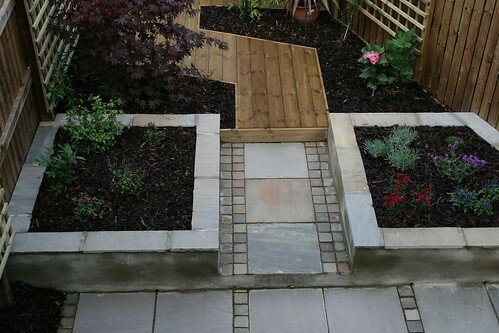 "Mike and I are really pleased with the fabulous front and back gardens you designed for us. The front garden really compliments the property well and fits the bill exactly giving us seating space, low maintenance and a pleasing outlook. 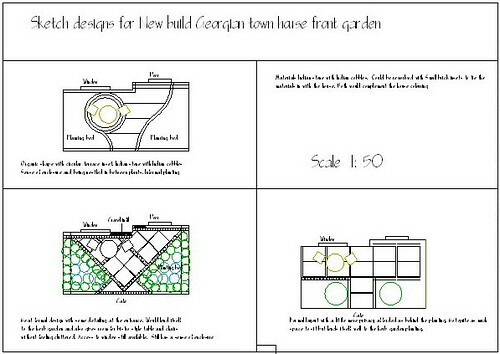 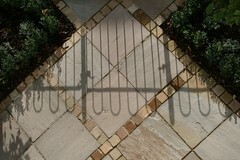 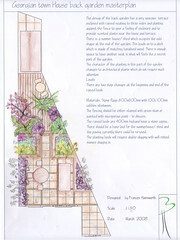 It was good to be given the choice of designs all of which fulfilled our requirements. 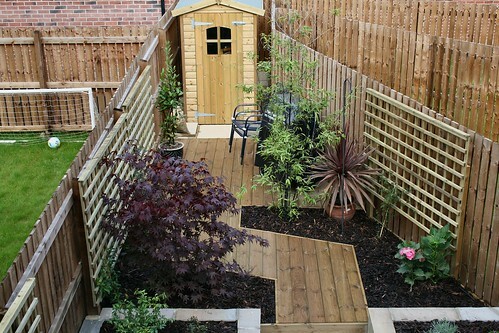 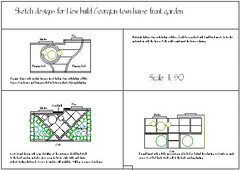 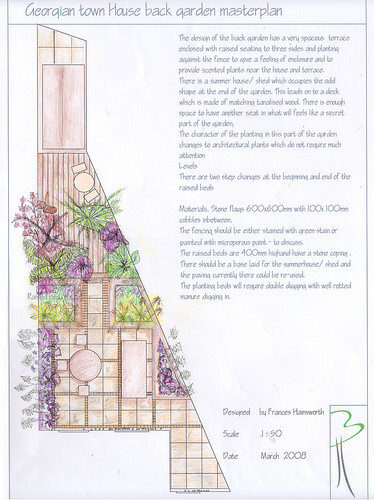 The small size and odd shape of the back garden made your job more difficult but you came up with several fantastic designs and the one we chose has worked really well. You have made the small garden seem much bigger and managed to disguise the odd shape and used all the space brilliantly. 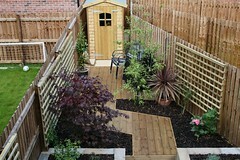 Mike was so pleased that you could incorporate a shed for his bits and bobs and it fits in perfectly. 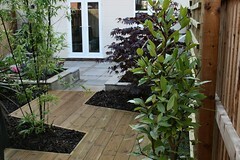 It is also really low maintenance which is just perfect as we are away so much. 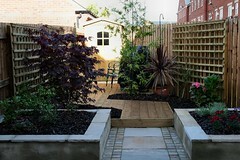 I know you'd be our first port of call if we were to move and needed a new garden."